Do you want your children to grow up confident, self-reliant and capable of making their way in the world regardless of the challenges they’ll face? Yuen’s kids martial arts classes will set the foundation in place to help make it happen! Our children’s martial arts classes give kids the opportunity to learn in a fun, fitness oriented and exciting martial arts environment that kids love! You’ll enjoy the results too, watching your sons and/or daughters thrive as they build their self-confidence, leadership skills and abilities to set personal goals, work hard and achieve well earned success. Class participation, led by our experienced black belt instructors (most of whom started at Yuen’s as young children too) will challenge your children physically while engaging them in team building, leadership and character building skills. Over time your child will develop a solid foundation that will benefit them for life, and they’ll also learn a variety of self-defence and martial arts skills to help keep them safe. There is no shortage of kid’s activities in Coquitlam that you can enroll your child in but few provide your child with benefits that will last them for a lifetime. Kids martial arts provides your child with a variety of life skills from being part of a team to setting personal fitness goals and finding methods of accomplishing them and other goals that they set for themselves. Responsibility and respect for themselves and others forms the base for all our learning methodologies and is delivered in a fun and safe environment. Yuen’s kids martial arts classes are one of the best gifts you can give your child! Parents rave about the positive changes, self awareness and respect that they see develop in their children. Yuen’s prides itself on developing a black belt attitude and outlook for your child, regardless of what belt they ultimately achieve. Our specialized “Little Dragons” kids martial arts classes offer an age specific martial arts curriculum that has been professionally designed to teach life skills to a 4 year old child. These young, Coquitlam martial artists practice and learn everything from beginning martial arts techniques to street safety awareness and anger management. Additional skills that are covered include: listening, waiting for their turn, memorizing their phone number and other necessities that also form part of the martial arts curriculum at our Coquitlam martial arts school. The high energy martial arts classes give these 4 year old martial arts students the ability to develop self control while learning the value of teamwork, listening, good manners and trying their best at all times. All martial arts classes at Coquitlam school, including our Little Dragons class activities, are designed to keep the children physically and mentally fit. 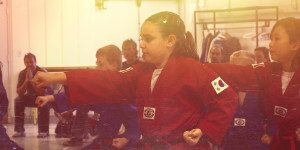 Martial arts classes are fun, safe and enriching for the students. The focus of our “Little Champions” kids martial arts classes are to increase the development of physical and social skills amongst our 5 and 6 year old martial artists. The physical skills act as a foundation for something much more important: increasing self-confidence, listening skills, concentration levels and developing a positive attitude, all while striving for black belt excellence. Whether it’s our award winning Tae kwon do classes or the other martial arts programs offered at Yuen’s Coquitlam, our martial arts students have a positive experience with a balanced blend of fun, focus and fitness. Yuen’s child centered martial arts programs will demonstrate to students how to make their lives a constant and never-ending journey of life-changing improvement. Yuen’s Junior martial arts program is focused on teaching Coquitlam kids martial arts in a way that emphasizes a healthy body and mind. Kids learn traditional martial arts, along with dynamic martial arts movements and skills including kicking, board breaking, physical conditioning and mental development. Each Yuen’s student walks away with the three S’s theory: sweating, smiling and striving for more. This metaphor was coined many years ago by a top martial artist and Yuen’s has been using it ever since to keep our young martial artists focused, motivated and on a successful path. The disciplines and dynamic components of Yuen’s Junior martial arts program is fun to learn and at the same time dramatically enhances the abilities of the student physically, intellectually, emotionally and socially. Whether your child is shy, or extremely outgoing, Yuen’s martial arts programs for pre-teens blends a healthy balance of lessons and training. Book Free Trial Now and Save! 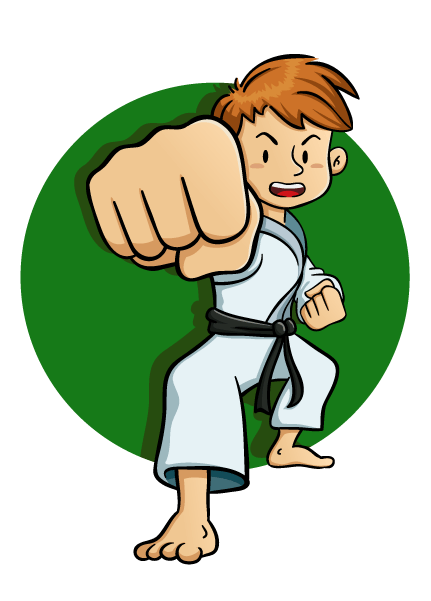 Coquitlam Kids martial arts classes forming now. GIve your kids the focus, discipline and concentration to help with school come September.